Israel arrests 27-year-old Turkish woman for alleged terror ties. 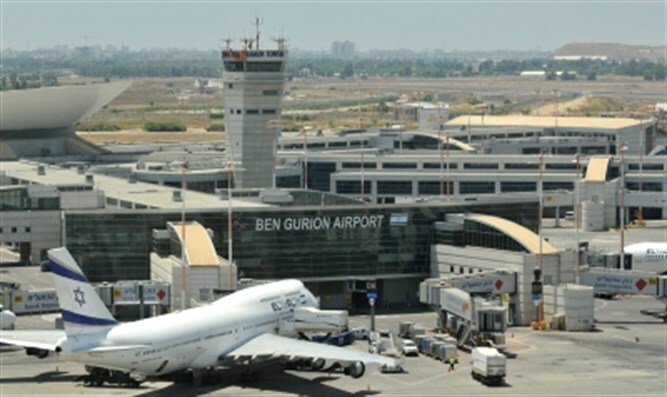 A Turkish national traveling in Israel was arrested at Ben Gurion International Airport recently, media outlets tied to the Turkish government revealed on Thursday. According to reports by Turkish media outlets, the suspect was arrested this Monday by Israel Police at Ben Gurion as the suspect was preparing to leave the country. The suspect has been identified as 27-year-old Ebru Ozkan. Ozkan had reportedly been residing for some time in Israel, and was planning to return to Turkey. A report carried by the state-run Anadolu Agency claimed that Ozkan had been arrested for membership in a terrorist organization. No details regarding the specific terror group were provided, or what capacity she is accused of serving in the terror group. The Turkish embassy in Tel Aviv is in contact with Israeli authorities regarding Ozkan, whose arrest has been extended until June 21st. Ozkan’s sister, Elif Ozkan, claimed her sister was being held in a detention center and that Ebru had not been in contact with her family or a lawyer since her arrest. “It is unfair and unlawful for a woman to be detained in this way. It's against human rights. Israel is approaching the issue politically. It's an arbitrary detention,” she added.